Currently a Pro Fortnite Player With Skirmish Experience. I dress up as a Potato on Stream! I am currently a young adult that is a part-time streamer. I have 18,000 Twitch Followers and 8,000 Twitter followers. I enjoy engaging with my community and creating a positive fun environment for all. I also enjoy healthy banter! I have been gaming for over 20 years. My first system was a original Nintendo playing Duck Hunt, Sega was amazing as well. I became a pro Xbox 360 Black Ops 2 player which brought me into the competitive scene. Continue to grow as a competitive gamer in any game that I partake in. Continue to grow my stream and improve the quality of my content. Help others grow their stream as well through collaboration. Fortnite is currently my favourite game. I also enjoy a good open world PvP game. I enjoy working with other streamers to help them grow their own communities. I am a firm believer in collaboration and networking for growth of all streamers. Report SKACLE's profile for containing a lack of content. Report SKACLE's profile for containing unsafe links. Report SKACLE's profile for containing offensive content. Report SKACLE's profile for containing formatting errors. Report SKACLE's profile for containing invalid links. 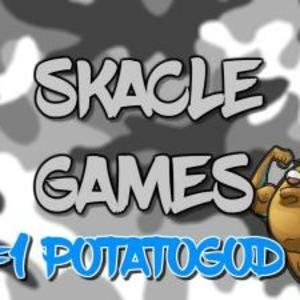 Report SKACLE's profile for another issue.